Our client took over a local cafe in Hereford and they wanted to re-invent the business with a young trendy new look. The branding needed to incorporate the new business name and reflect elements of street signage whilst being modern and fresh. The guys at Kings Street Kitchen use their new branding on a daily basis updating their menus printed on craft paper and displayed on clipboards. We then went on to produce a clean website based on a template product - a quick option and perfect for start-up businesses on a budget. Find out more here. D3 Active....certainly active - a business full of fun fuelled events and a team of real 'go getters'! The website design needed to be vibrant and display the qualities that the team bring to all their high end brand events. The website was built to work on a range of mobile devices - find out more about responsive web design here. Mud Runner is a fun outdoor challenge for all ages and we should know as we have tried it! The Mud Runner team puts on several racing challenges throughout the year, bringing in thousands of keen runners and fundraising enthusiasts to race in the enchanting grounds of the Eastnor Castle park estate. The website was to be a step beyond other websites at the time, we designed it to have impressive parallax scrolling functionality and incorporating their strong brand image. We definitely recommend signing up to their upcoming events! Anneleise's work is inspirational, beautiful and a true craft. A website to promote her hard work and artistic flare was the step she wanted to take. An ecommerce store with in-built content management system was a perfect solution to sell Anneliese's creative pieces and an opportunity to expand her business idea. New starts and exciting times! This busy client keeps us on our toes with exciting and challenging design work - but that's what we love! Working with Odyssey Brew Co from the start to build a strong exciting and very individual brand. Their unique look is definitely brave and with such unusual ideas it has developed into an adventurous young brand and we can't wait to see what the future holds for this crafty brewery! The richly decorated and dramatic interior of Eastnor Castle, steeped in history is definitely well worth a visit. The Castle's brand was lacking the richness that the castle and its grounds radiates. 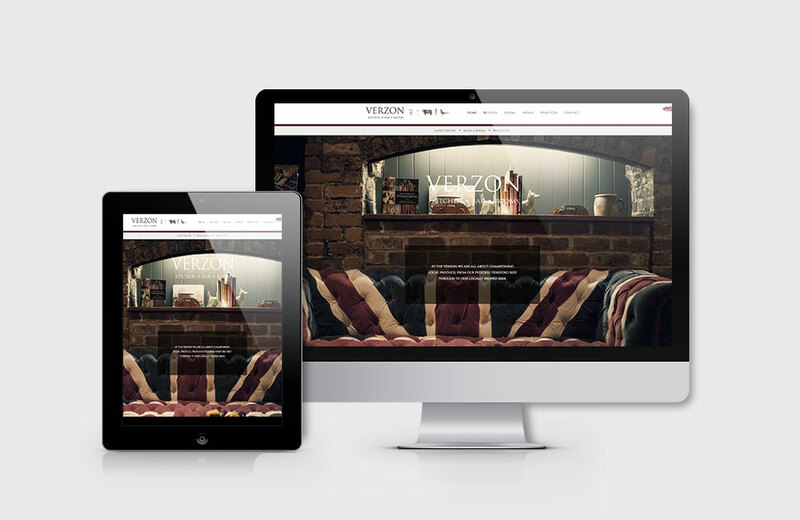 We wanted to provide a contemporary look whilst achieving a brand and website that has a distinct traditional style. The website needed to provide an enchanting taster to tempt guests to visit and experience Eastnor Castle for themselves. The Castle business has a range of facilities which cater for different market sectors and by using different brand colours to show a clear distinction between these services, provides a clear brand image across all areas. Presenting our ideas to the friendly Eastnor Castle team in the very grand Gothic Drawing Room was an experience never to forget. A luxury store & deli gets a signature look. Ceci Paolo emporium is a luxury brand store in Ledbury selling premium brand clothing and high end homeware products as well as a destination deli stocking the very best grocery and fresh food products. Each season we create beautifully styled photo shoots to promote the stores latest trends and goods. We provide clean product photography for their ecommerce website as well as styled seasonal shots for promotional material. Ceci Paolo use our design services for printed material such as business cards, invites, leaflets and social media promotional campaign material. We are also on hand to provide occasional IT and web support when required. The Beautiful boutique B&B, The Bear, in Hay-on-Wye came to us for the full works! A great project that lets the photography do the talking. The B&B is beautifully presented and the brand is pulled together with the rich blue and the bear illustration drawn by a local artist. The website simply shows off the room interiors and captures the character and design qualities of this boutique B&B. Antique lighting company Fritz Fryer required a fresh contemporary new look with a traditional edge to represent the products they sell. The new branding was given an earthy and rich colour palette and the clean product photography provides the perfect combination for a contemporary look. Our client was venturing into a brand new project and setting up a rural retreat hotel and restaurant, and we were excited to be part of re-inventing the hotel for new clientele. The business branding and illustration reflects all of the local elements and draws on its local countryside location. The website boosts this beautifully renovated boutique hotel, local sourced food and strong links with its close neighbour Chase Distillery.